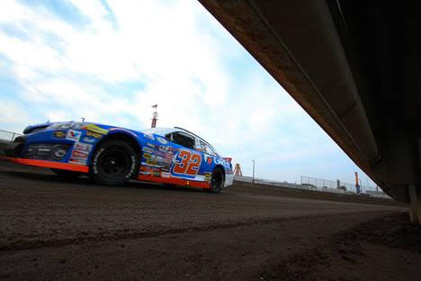 DUQUOIN, Ill. – After successfully earning a hard-fought top-10 finish in ARCA Racing Series presented by Menards competition at Road America (Wisc. ), SCOTT Rookie of the Year candidate Gus Dean (@gusdean) heads back to the dirt for Monday’s running of the General Tire Grabber 100. Tucked in a tight points battle for third place overall in the championship with close friend Shane Lee, Dean hopes the fundamentals he learned at the Illinois State Fairgrounds a few week ago will pay dividends and bring his 13th top-10 performance of the season. “After escaping my first road course with a top-10 finish, I’m anxious to get back on the dirt and give that another whirl,” said Dean who locks fourth in the championship standings, just 15 points behind Lee. Flashing back to Springfield, Dean qualified a season-high third but found himself in an early race spin. Dean later recovered to maneuver his No. 32 GREE Cooling Products Toyota back inside the top-10, before a faulty coil in the engine dropped the Bluffton, S.C.-native to 11th in the final rundown. Big picture racing, however still lies heavily on the mind of the 23-year-old racing sensation. With the championship out of reach, the South Carolinian wants to extend his lead in the Rookie of the Year category with just five races remaining. “I know DuQuoin is going to be a little bit of challenge, but if we keep the mindset that we’ve had all year, it has paid off pretty well for us,” sounded Dean. “In 14 races, we have 11 top-10 finishes and 12 top-11 finishes. That’s something to really be proud of. In 22 career ARCA Racing Series starts, Dean captured his first career victory in his second ever start at Talladega (Ala.) Superspeedway after starting second in Apr. 2016. 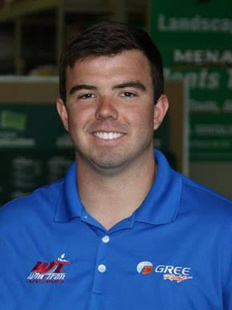 Overall, Dean has six top-five and 15 top-10 finishes and has led 37 laps in ARCA competition.